Do Al-Huda schools' conservative teachings breed extremism? 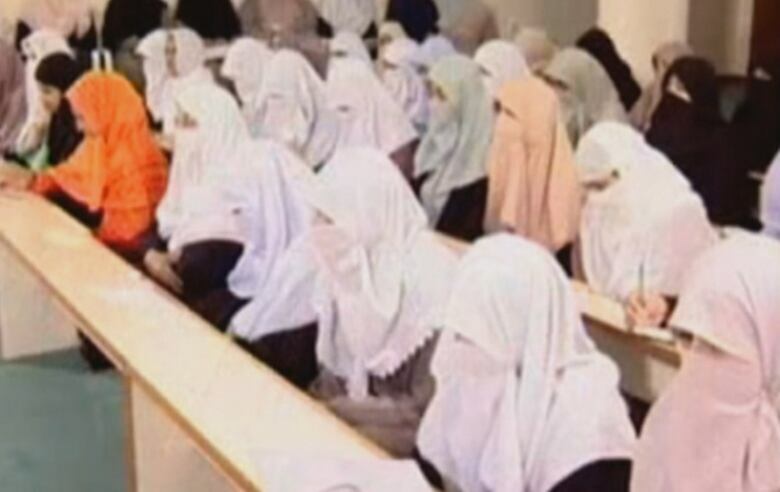 Neither Al-Huda's founder nor her Islamic schools for women encourage extremist action of any sort, she said. But critics warn that immersion in a conservative religious community can make people more susceptible to radicalization. 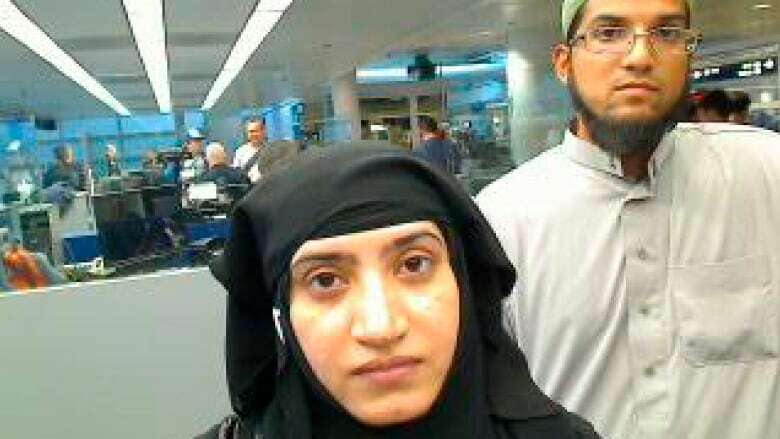 A popular network of Islamic religious schools for women, which espouses a conservative ideology, is facing questions about its teachings after revelations that Tashfeen Malik, one of the San Bernardino shooters, and at least four other women who attempted to join ISIS studied there. The school's founder, Pakistan-born Farhat Hashmi who lived in Canada for several years, has denied any links to extremist groups. She said in a statement on her website following the shootings in San Bernardino, Calif., that the schools preach non-violence and promote only a peaceful message of Islam. "No organization can be held responsible for personal acts of any of its students," Hashmi's statement reads, adding a truly devout Muslim "will never involve (themselves) in violent acts." But critics of these teachings warn immersion in a conservative religious community can make people more susceptible to radicalization for a number of reasons. Hashmi, a scholar with a doctorate degree in Islamic studies from the University of Glasgow, founded the Al-Huda International Welfare Foundation more than two decades ago in Pakistan to teach women about the Qur'an. Hashmi's schools teach a conservative Islam ideology that many, including many Muslims, find controversial. For example, she encourages women to stop working, cover their bodies and faces, permit polygamous marriages and disassociate from non-Muslims, according to some who have studied Al-Huda. "It's very, very stringent ideology," says Raheel Raza, president of the Toronto-based Council for Muslims Facing Tomorrow, whose family member in Pakistan once devoutly followed Hashmi's teachings. Raza along with the Muslim Canadian Congress petitioned the Canadian government about a decade ago to remove Hashmi from Canada, where she had resided for several years. 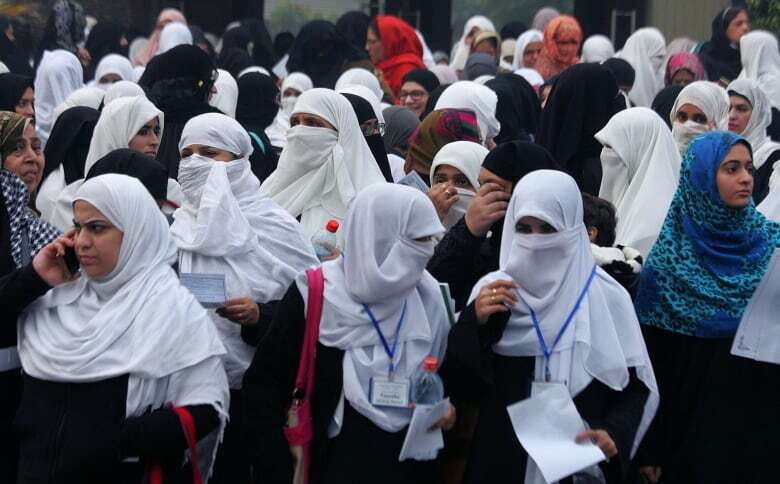 Pakistan's middle- and upper-class women have increasingly embraced Al-Huda, which translates to "guidance," according to Transforming Faith, a book by Sadaf Ahmad, an associate professor at the Lahore University of Management Sciences who did her doctoral research on Al-Huda. The country now boasts about 70 schools, estimates Faiza Mushtaq, who has also extensively researched the organization, including for her PhD dissertation. "It's all over," says Raza. "Upshoots all over the place." That spread now includes an elementary and high school, the Al-Huda International School, in Islamabad, Pakistan, as well as branches in Canada and the U.S. The organization's Canadian branch, which opened in 2004, is located in Mississauga, Ont., and includes an elementary school. It closed for the day Tuesday because of the controversy generated by the CBC story about its four former students, and its operations manager issued a statement saying the school had never been approached by law enforcement agencies about this allegation. Together, the schools have taught "hundreds of thousands" of students at their campuses, online and through audio recordings, according to the founder's site, including "scores" of male students. Mushtaq estimates that a more conservative 15,000 women had completed either a diploma or course at the schools by 2010, but that figure doesn't include those who access lectures online or through audio recordings. 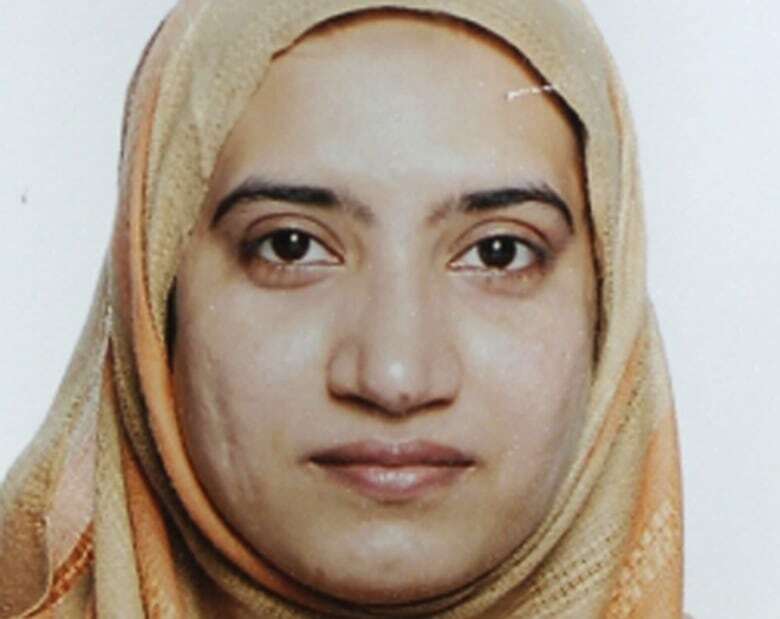 Malik, who along with her husband, Syed Farook, shot 14 people and injured 21 others at a work holiday party last week, attended the Multan school between 2013-14, while simultaneously studying pharmacy at a local university. She started a two-year diploma course, but left the school before completing it, according to a statement from the founder. Malik attended six classes weekly, Farrukh Chaudhry, a spokeswoman for the Al-Huda International Seminary, told Associated Press. Malik had informed the school she would be getting married and moving to the U.S. soon. She promised to finish her studies by mail after handing in her last paper for her first year on May 3, 2014, Chaudhry said, but never did so. Malik received her university degree in 2013 and moved to the U.S. the next year. Prior to the attack, Malik allegedly claimed allegiance to ISIS on a Facebook page, the FBI said. Meanwhile, a girl and three young women who studied at Al-Huda's Canadian branch left Canada to join ISIS, sources told CBC News. The organization denounces "extremism, violence and terrorism of all kinds," reads a statement on the founder's site. The Canadian contingent also "unequivocally condemns violence and terrorism," according to the statement by Imran Haq, the school's operations manager. The Canadian branch is completely independent from the Pakistan operation, he said in an interview with CBC News. While the premise of teaching Muslim women the Qur'an remains the same, the teachings at the different institutes may vary, he said. "We understand and work within the Canadian context," he said, adding the teachings, "equip and help students become a part of the fabric of Canadian society." Malik attended the Al-Huda International Seminary in Multan, Pakistan, for one year, but did not complete the two-year diploma course. (REUTERS)The Al-Huda organization has never been linked to a terrorist organization or extremist, says Washington-based Farhana Qazi, a researcher, who studies conflicts in the Islamic world. It is not identified as a terrorist entity by the government of Canada. ​Al-Huda did not radicalize Malik, says Qazi. Her attendance is likely a "coincidence," as the school is very well known in Pakistan. It gives women "an outlet" for participating in religion and learning about Islam, she says. But while the school doesn't encourage violence, its conservative views can make someone more susceptible to extremist ideology, like that of ISIS, both Qazi and Raza say. Qazi spent years researching madrassas, or Islamic religious schools. Qazi suggests conservative schools sometimes teach what she calls a "misinformed" ideology, without question or analysis, but rather taking the imam's word at face value or simply memorizing the Qur'an. "When you learn about religion from a narrow lens ... then you tend to have a less tolerant view of the world," she says. As a result, those people are more vulnerable to fall into extremist ideology, which preaches the fight for justice, the need to save a persecuted group and an individual calling, she says. Those ideals may "fit neatly into someone's mind frame who has already developed a black and white kind of lens from which to see the world." The Mississauga branch of Al Huda has expressed concerns about the radicalization of its former students. "We are very clear that terrorism is against Islamic teachings and anyone espousing or pledging allegiance to terrorist movements like ISIS or ISIL have clearly deviated from the religious teachings," the Al Huda Institute said in a statement to CBC News. Editor's Note: This story has been updated with additional reaction from the school and more information about one of the four students.